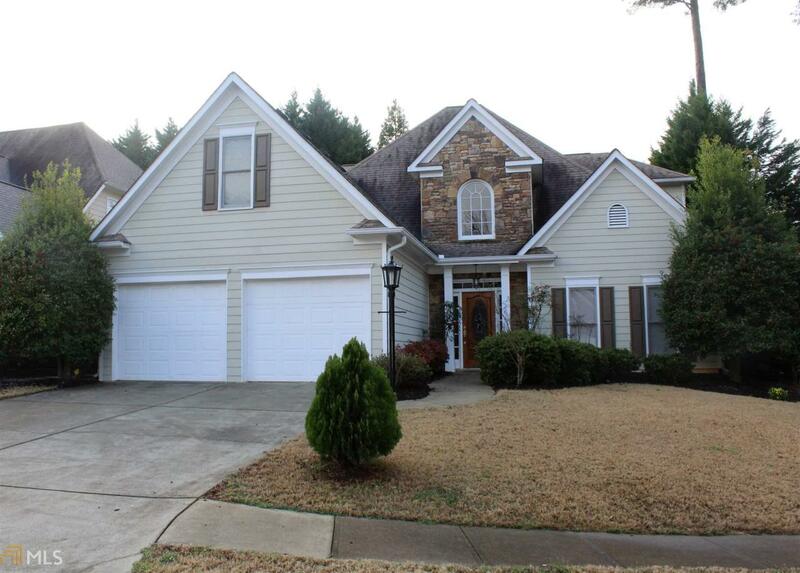 Meticulously maintained 4 bed/3 bath home with master on main level and second master suite on upper level. Spacious kitchen has granite counters, gas cook top w/double ovens, microwave and keeping room featuring vaulted ceilings and stacked stone fireplace. Vaulted family room has 2nd fireplace which has been updated, dining room will sit 12+. Owner has added new light fixtures and ceiling fans throughout. Dont miss main level master bath remodel and oversized walk-in closet. Located only minutes to shopping, restaurants, Kennesaw Mtn Park with easy access to I575 and I75 expressways. Home is in move in condition.